March 19th is St. Joseph’s Day. San José, the husband of the Virgin Mary, is one of the patron saints of San Miguel and the patron saint of the Catholic church. Today is marked by a late afternoon parade featuring many depictions of St. Joseph, fireworks and a special mass at the Oratorio church. Celebrations also occur all day at the St. Joseph of the Mountain Church on Calle San Jose (called Homobono down towards the market). Saint Joseph is rarely mentioned in the bible but is considered the most powerful of the saints and the only saint to have two feast days. March 17th is for St. Joseph, patron of fatherhood and family then again on May 1st as the patron of workers. Until recently it was common for most Mexican men to have the first name of Jose (and women, Maria). Pepe (Joe), the nickname for Jose comes from combining the words for adoptive father in Spanish since Joseph was Jesus’ adoptive father. 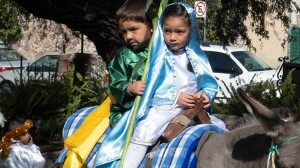 Saint Joseph’s traditional colors are yellow and green and flags of these colors line Calle San Jose and neighboring streets including Presa (where the Hacienda of Saint Joseph was located). He is often depicted in art holding the baby Jesus and a lily. The lily with St. Joseph reminds us that his spouse was the spotless Virgin Mary. After the Virgin Mary, Saint Joseph is the most auspicious heavenly ally. All the other saints served Jesus, or were friends of Jesus, but only Saint Joseph is the father of Jesus. Hence, Jesus will do what Joseph asks of him and Saint Joseph commanded the grandest celebrations. It helps that Joseph is noted for his compassion, faith, character, fortitude, humility and charity. Saint Joseph was well received by the native communities as not only the patron saint of carpenters but other local professions including those who work with stone, wax, cans, leather and candles. Factories for each of these were located in San Miguel. Saint Joseph Day has a long history in San Miguel and was once one of the most celebrated days of the year. 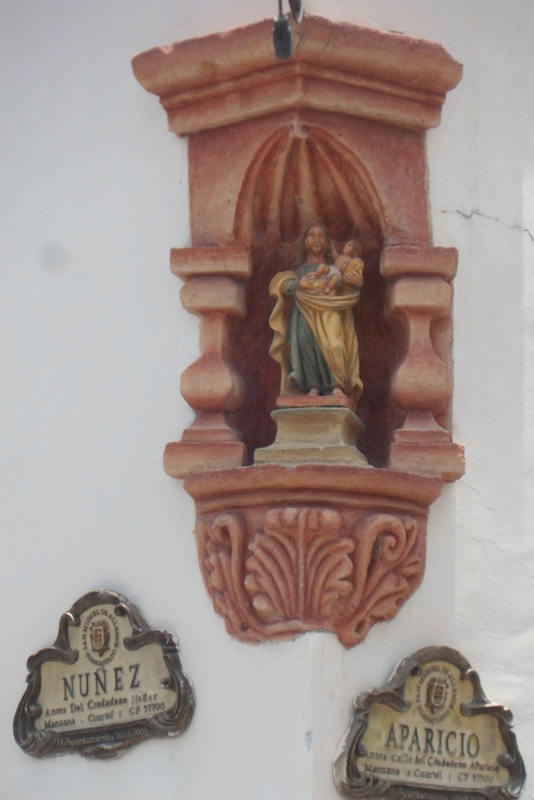 Last century grand fiestas were held at the Hacienda of St. Joseph (where the chapel with a grand statue of St. Joseph was located) including horse racing amongst chickens and local story telling lasting from 6 PM to 6 AM the following day. On the afternoon of the 18th, the procession would leave for the Parroquia accompanied by music and fireworks. This tradition continues today, though with far less images of St. Joseph. On the 19th the celebration moves to the Oratorio with dancing and music. Saint Joseph was widely celebrated in the more heavily populated areas of indigenous including Cruz del Palmar, Rancho Viejo, La Cieneguita, Las Canas and Valle del Maiz. Saint Joseph’s Day was the start of the 1918 Revolution and he became the symbol for the war. 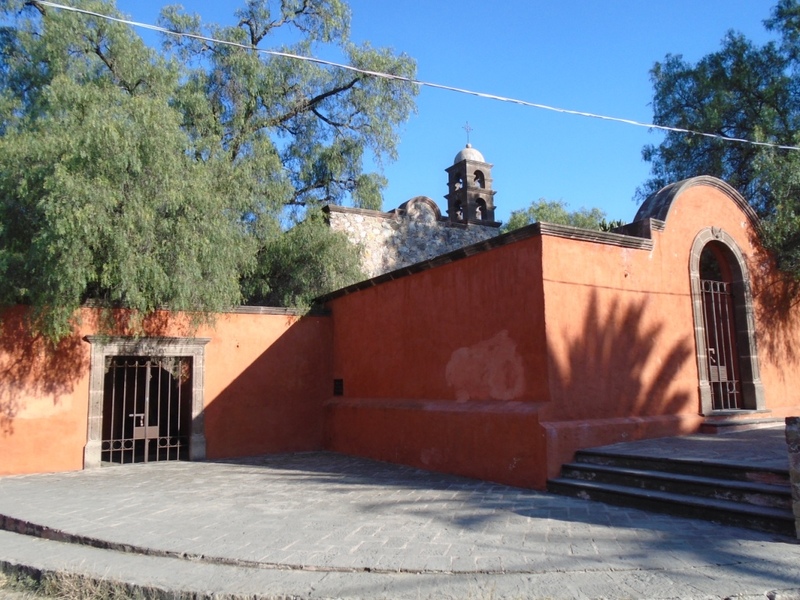 Ironically, it was during the Revolution the Hacienda of Saint Joseph was burned, including the splendid statue of St. Joseph in the chapel, thus ending the largest celebration of Saint Joseph here in San Miguel. Saint Joseph is also widely invoked as the patron of a peaceful death for saving Baby Jesus from being murdered by King Herod and for his own unusual perspective on death. Legend holds Joseph was taken into heaven when Jesus was 17 years old. Whereas others leave Earth with the expectation of seeing Mary and Jesus in heaven, Joseph had to leave Mary and Jesus behind on Earth.